Have you noticed the absolute carnage taking place in the U.S. shale oil stocks? It seems as if Wall Street and investors are finally growing weary of an industry that hasn't made money in the past decade. 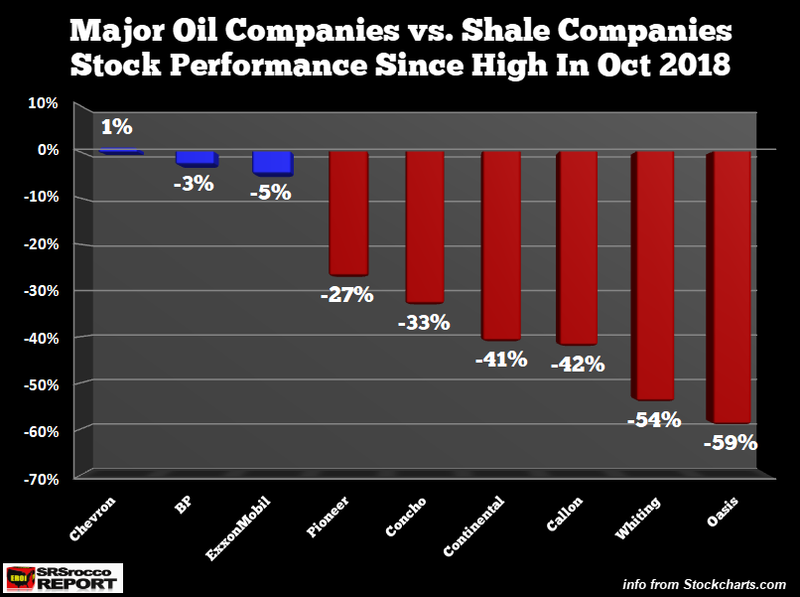 Unfortunately, it took a longer than I expected, but the shale stocks have significantly underperformed the price action by the major oil companies. Now, when I say, "underperformed," wait until you see the numbers. So, it seems as if investors are no longer willing to finance the U.S. Shale Oil Industry Black Hole. And why should they? One of the largest shale players in the Permian, Pioneer Resources, suffered its eighth consecutive year of negative free cash flow. In 2018, Pioneer spent $541 million more on capital expenditures than it made from cash from operations and if we add up all the eight years, it's a grand total of $6.8 billion in negative free cash flow. The major oil companies' stock prices have all increased significantly off their lows, while their shale counterparts have experienced a downward trend. ExxonMobil, Chevron, and BP are heading back to their highs made in October as Continental, Concho, Pioneer, Whiting, Oasis, and Callon are all down considerably. 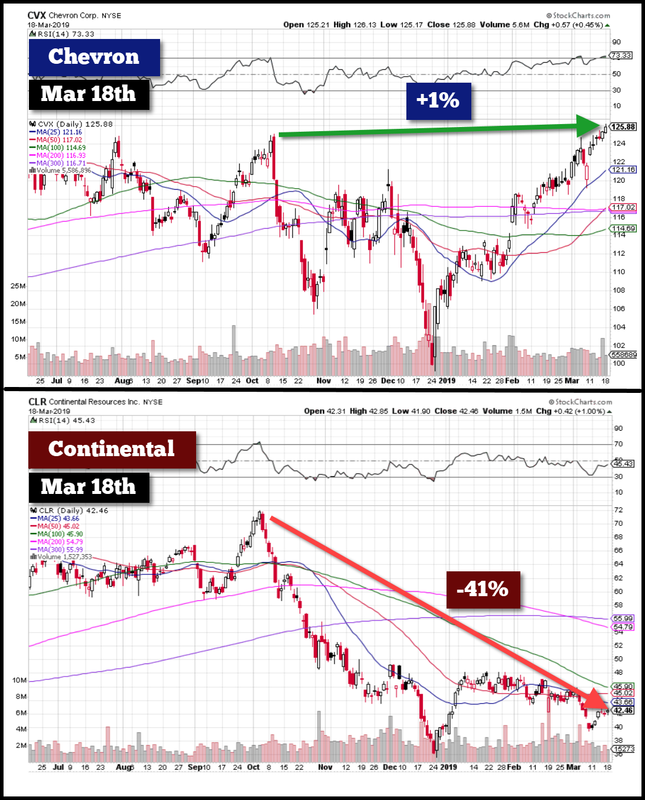 While I would be a nervous wreck holding any shale oil company stock, those with much higher share prices, such as Pioneer and Concho, have much farther to fall. 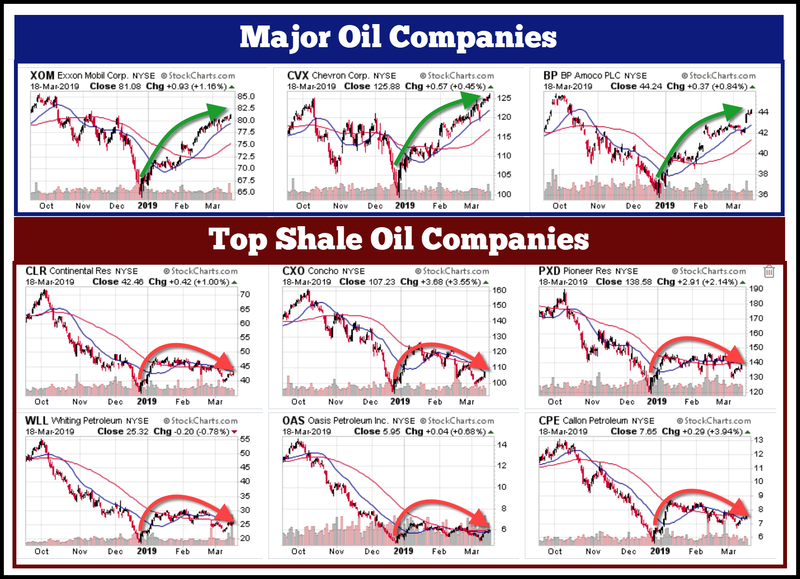 Thus, those who are wise and decide to place shorts or purchase puts on these companies will likely be handsomely rewarded as the U.S. Shale Oil Ponzi collapses.